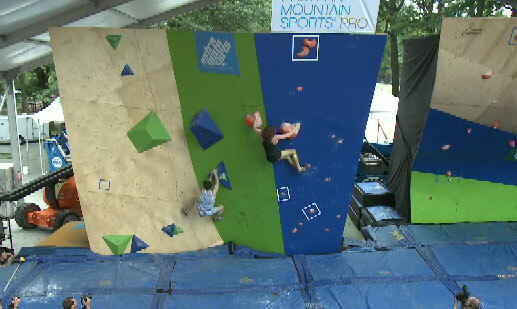 The big UBC Pro Tour comp went down over the weekend in New York City’s Central Park. 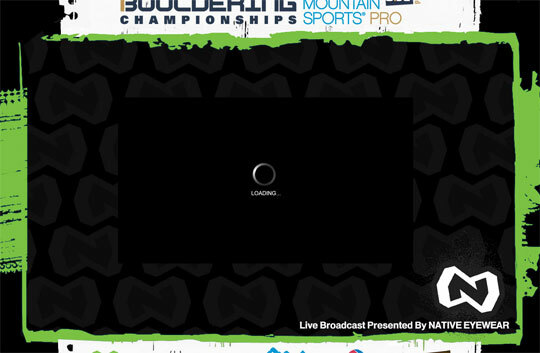 The live feed was plagued by problems initially which caused many of the people who checked in with the live blog to miss the entire first problem. Fortunately, order was restored and we were able to watch Angie Payne flash the remaining two problems and Vasya Vorotnikov finish his last two problems giving them both the win in their respective categories. Look for a highlight reel from the guys at LT11 later today and check out this photo gallery from the comp on the New York Times website. The UBC comp wasn’t the only thing going on this weekend as many of the world’s best comp climbers gathered in Barcelona, Spain for another stop on the Bouldering World Cup circuit. Alex Puccio and Alex Johnson proved to be nothing if not consistent as they finished 2nd and 7th respectively for the 3rd time this season. Coming off a 2nd place finish in Eindhoven Daniel Woods finished in 13th. Anyone know what the prize purses were for the UBC?